Virginia Williamson is a dear friend of Doro’s sister-in-law Laura Bush. 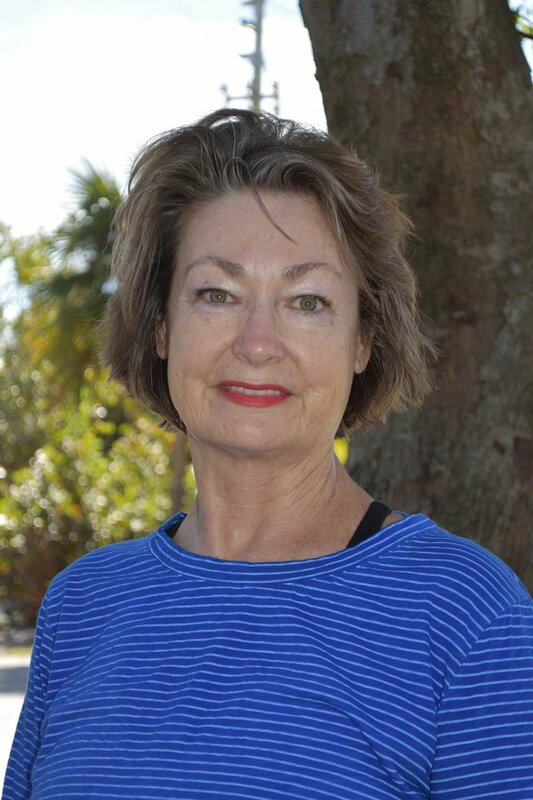 We all met Ginny on the west coast of Florida where many in our family have taken her yoga class. She even came up to Maine and did a yoga class for us there. Ginny's inner beauty matches her outer beauty. In this podcast, we talk a lot about people, and where they come from, and the stories of their life. Ginny's life story is fascinating, and we are thrilled to have her here with us today. We talk about yoga, breathing, forgiveness, and living a great life. [01:10] Ginny teaches Hatha Yoga and she feels like she is very lucky and privileged to be able to do what she loves every day. [01:39] Hatha Yoga is the type of yoga that incorporates certain exercises. [01:54] Yoga exercises are things like tree pose, triangle pose, warrior one, warrior two, and downward dog etc. [02:24] Benefits that Ginny sees from yoga include improvements in sleeping and breathing. [02:33] Using breathing techniques to become more mindful and relax are also benefits. [02:58] If you're lying on your back, you want your abdominal muscles to swell when you inhale. [03:27] When standing evidence of diaphragmatic breathing comes from the rib cage expanding and contracting. [03:51] Breathe in and out through the nose as much as possible, but there is no harm in exhaling from the mouth. [04:32] You can even use the words inhale and exhale to slow the mind down and stay focused on your breathing. [05:47] Focusing on your breathing can be a huge help in relieving stress, because when you're focused on your breathing you can't think of anything else. [06:26] Breathing and staying in the present moment is a practice. [07:38] Ginny found yoga about 28 years ago just before she was pregnant with their first child. She accidentally stumbled into a yoga class and discovered it was an activity that she like to do. [08:29] She used yoga as a form of exercise for 6 years. [09:01] She found a yoga class when she moved to Florida and had an excellent teacher. [09:06] Eventually, there came a time when she thought she might want to earn a little extra money teaching yoga. [10:05] She then became certified, attained liability insurance, and was able to teach around her children's school schedule. [10:45] We often talk about what your next season of life is, and it's wonderful that Ginny is able to expand on what her next season is. [11:12] Yoga can be practiced at any age. If you can still breathe, you can practice yoga. [11:47] Ginny's life was a little rough, and yoga has been a huge part of her healing process. [13:06] Ginny's parents were very young when Ginny was born. She was the oldest of five children. Her mom was also troubled. She and her siblings were abducted by the Tennessee Children's Home Society. [15:51] Her mother and twin sister were adopted by a couple in Philadelphia. She held a chip and took it out on her grandparents. [17:48] Her mom talked about the experience constantly. [18:31] Ginny's aunt and grandmother were positive role models and she just bumped into nice people in her life. [19:06] Her parents divorced when she was 11, and her mom put her in an orphanage. [20:35] It wasn't terrible, but then her mother remarried and they went to live with her again. [21:50] Her brother committed suicide at age 34, and left behind a wife and child. [24:25] Ginny forgave her mother over and over again. She finally divorced her when she was 62 years old. That was three years ago. [25:05] It was very painful. The second year she felt a lot of peace. The third year her mother died. [27:18] You can take a situation and change how you think about it and change your thoughts. [27:50] Ginny modeled her life to be opposite of her mother's. [29:00] Prior to yoga, Ginny had psychotherapy. It's good to talk about problems. [32:08] Yoga is a philosophy of the unity of the mind in the body. [33:44] We are not our thoughts, and we are not our experiences. [35:37] Everyone should read Autobiography of a Yogi. [36:04] Let yourself off the hook sooner than you did and know that you are okay. [36:33] Ginny's favorite dinner is pizza, and she's her life 10 years from now about the same. [36:54] Ginny is great friends with Laura Bush.